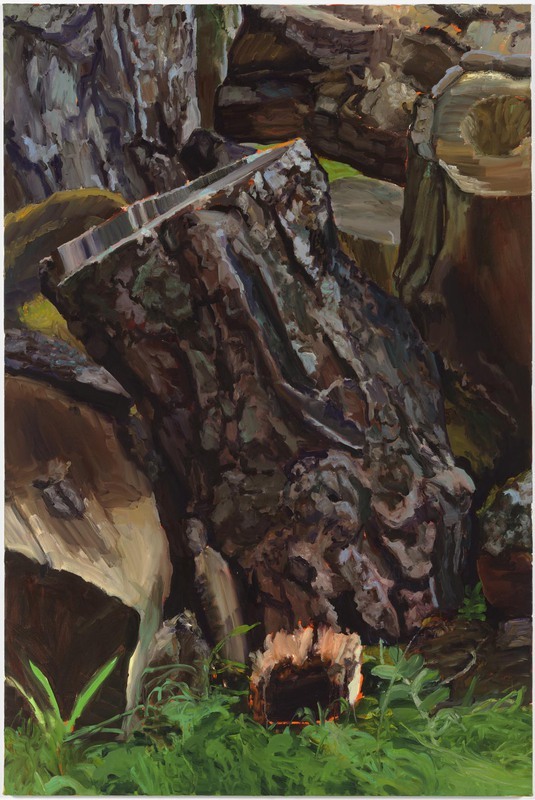 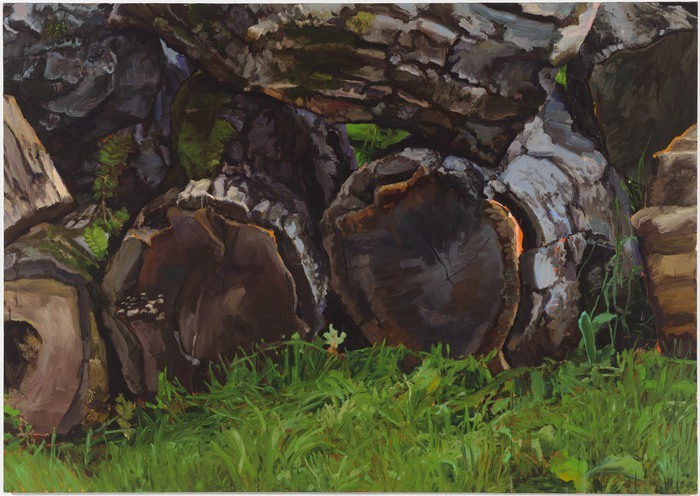 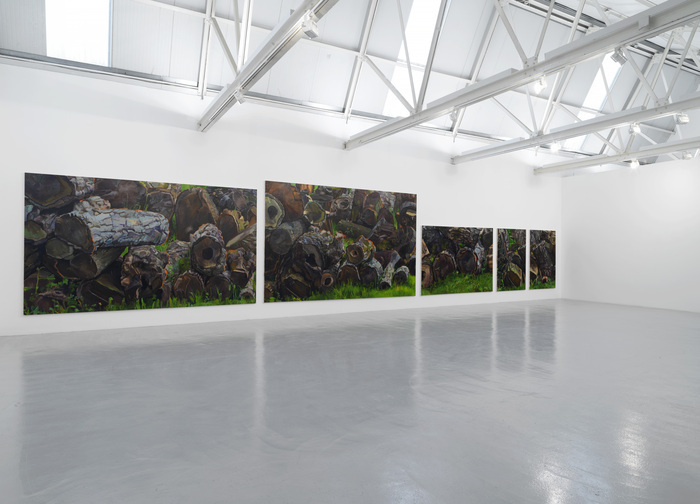 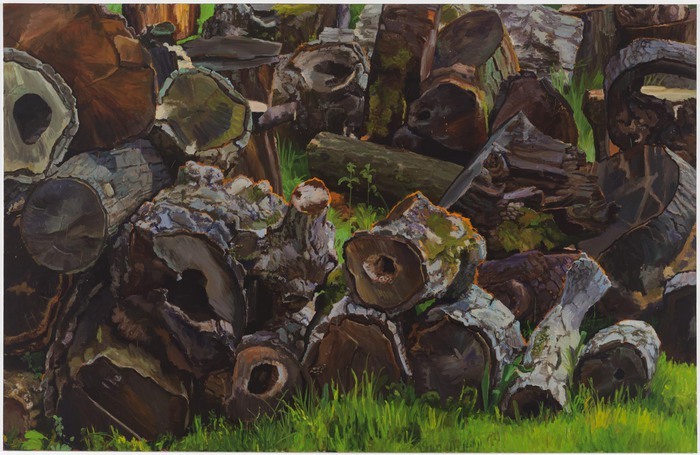 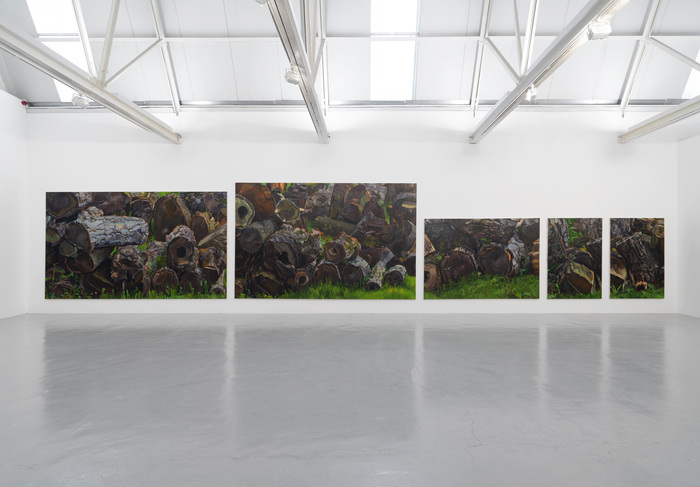 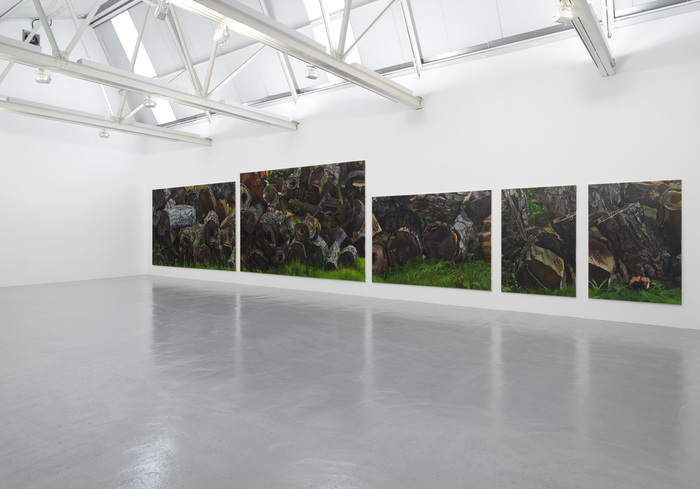 These paintings are made from observing an arrangement of natural forms – pieces of trees. 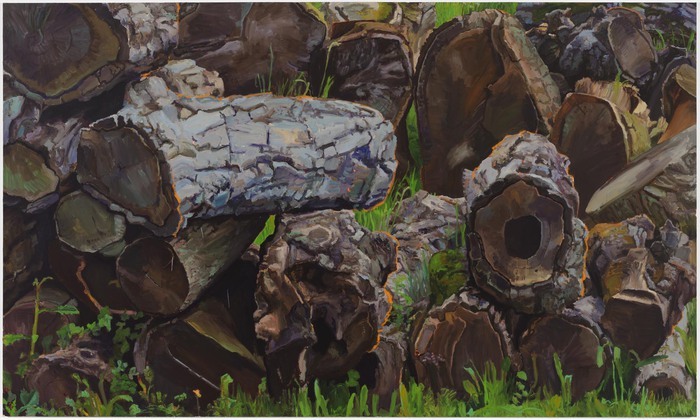 They are painted from life in a studio outside of London whose doors open onto a yard where Simon Ling has arranged logs in order to paint them. 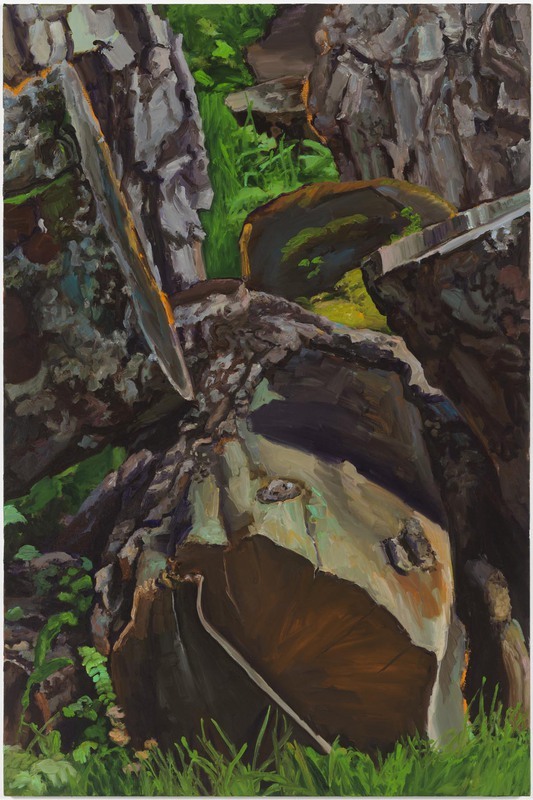 Between the act of observation and the painting process, this “still – life” becomes active.